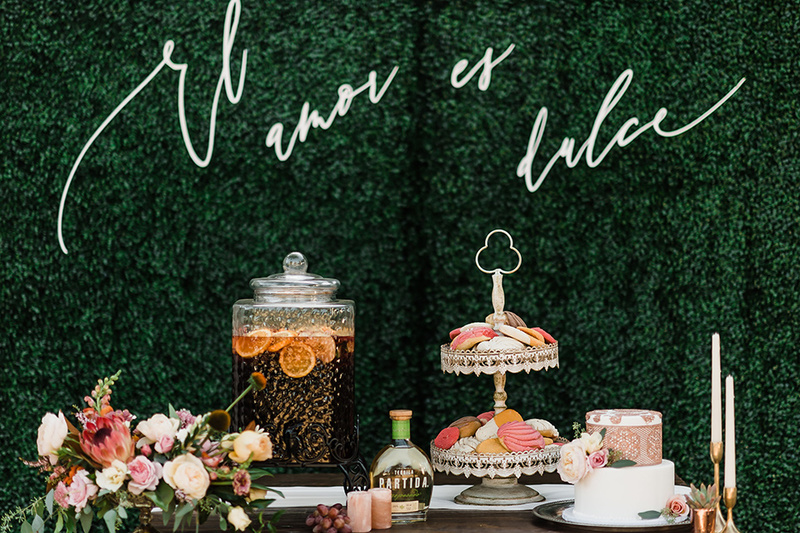 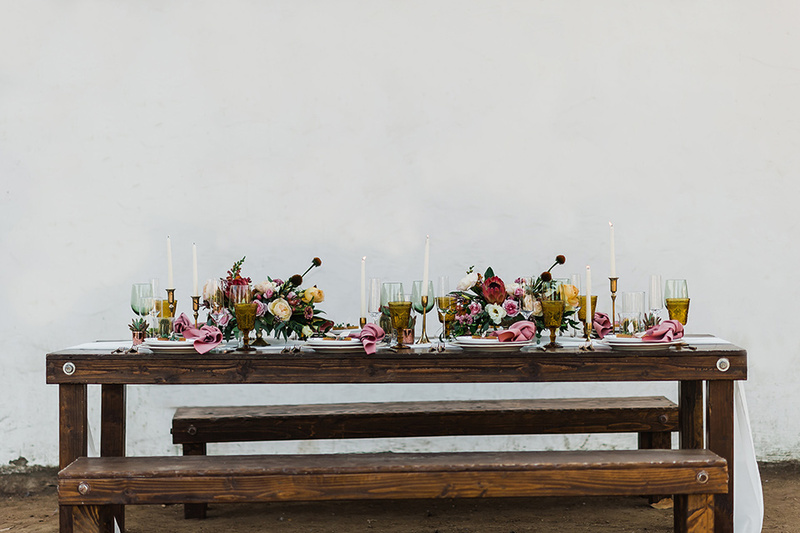 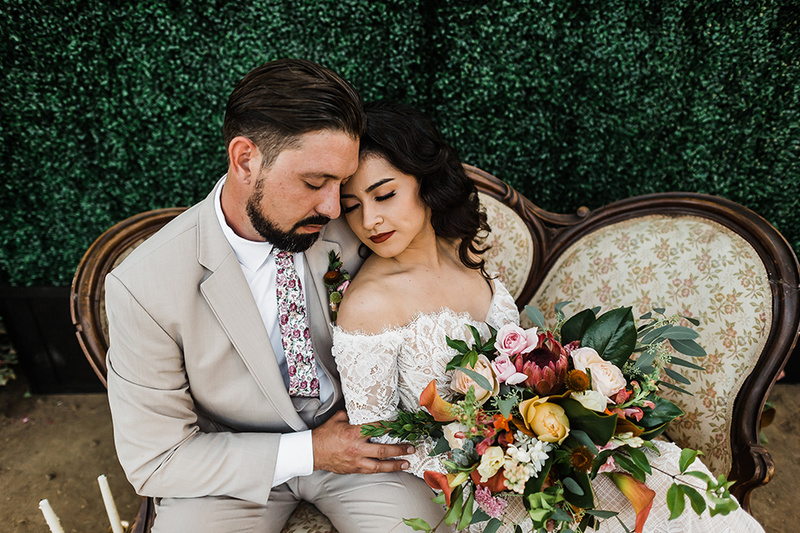 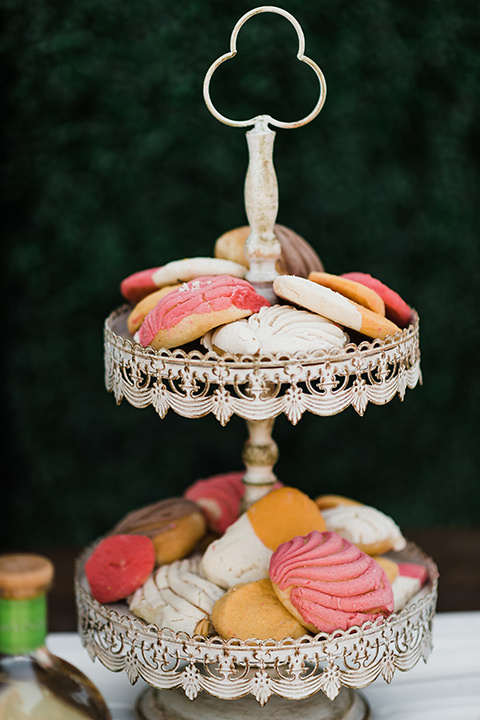 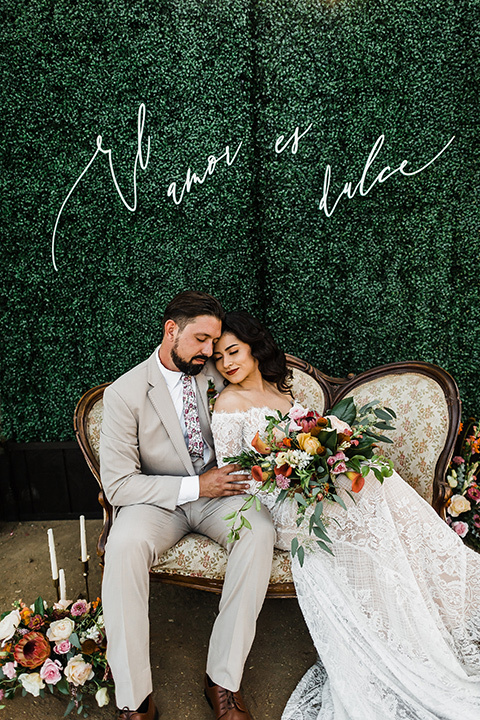 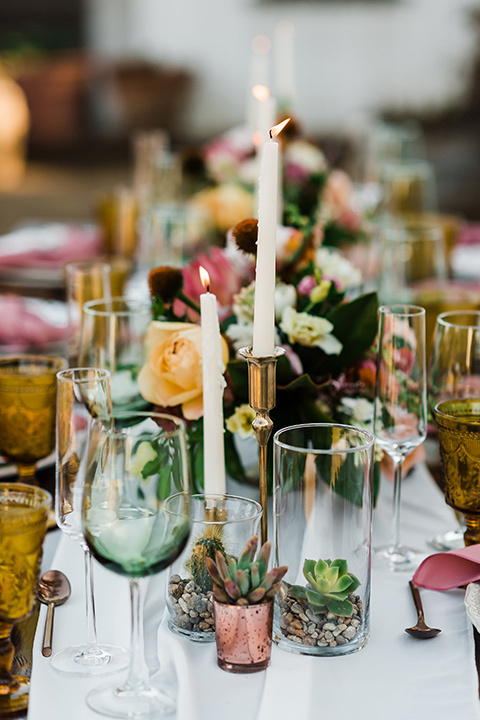 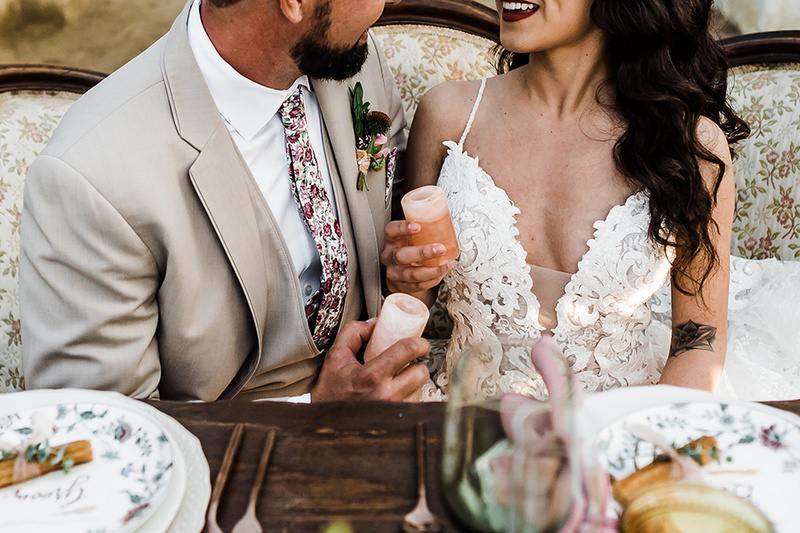 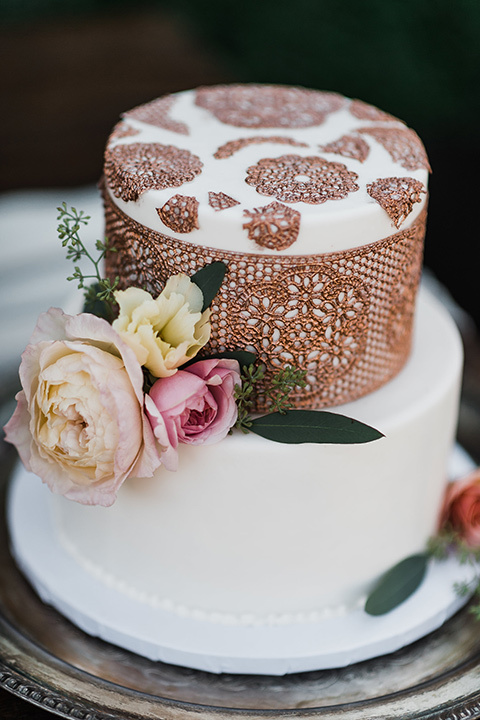 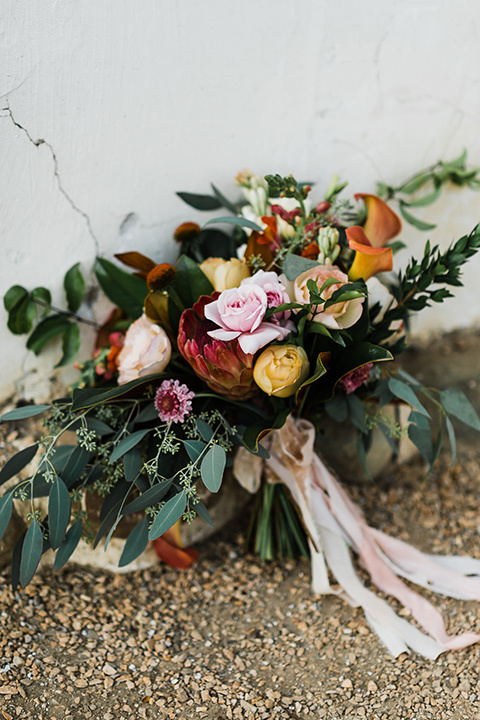 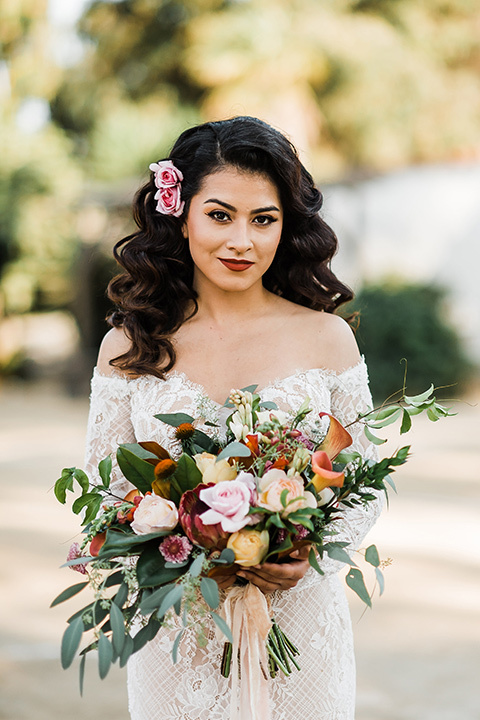 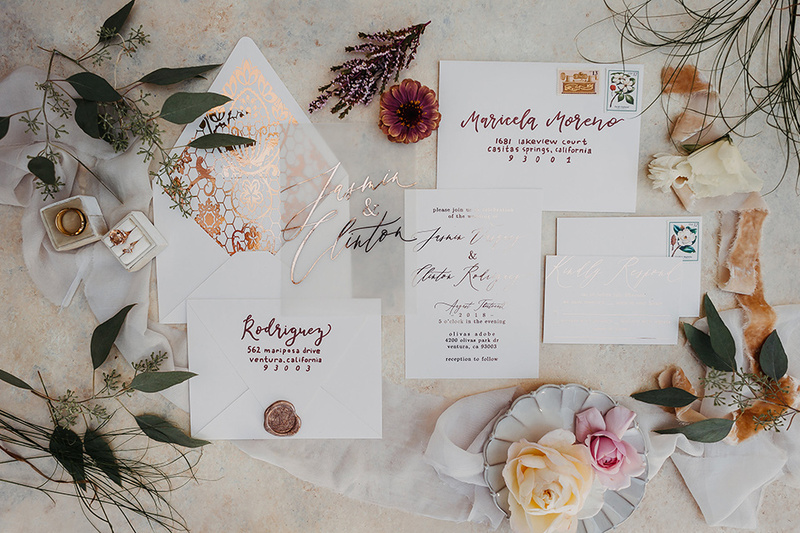 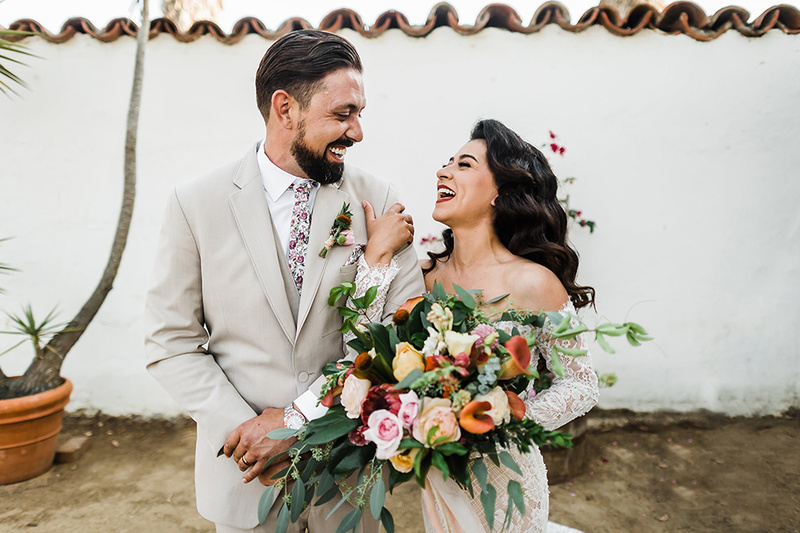 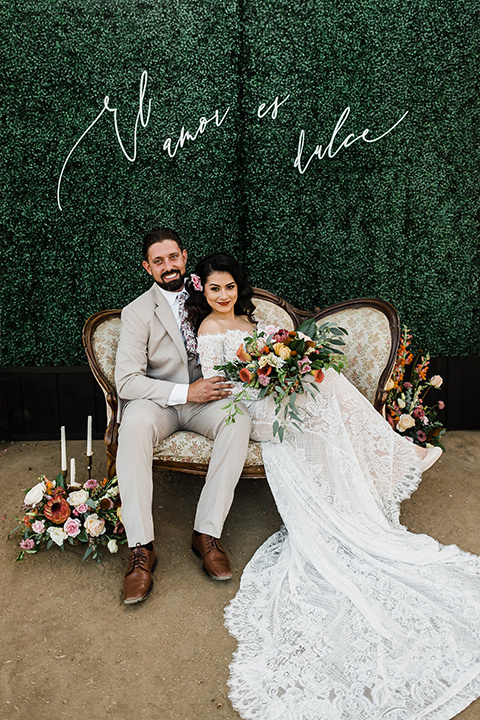 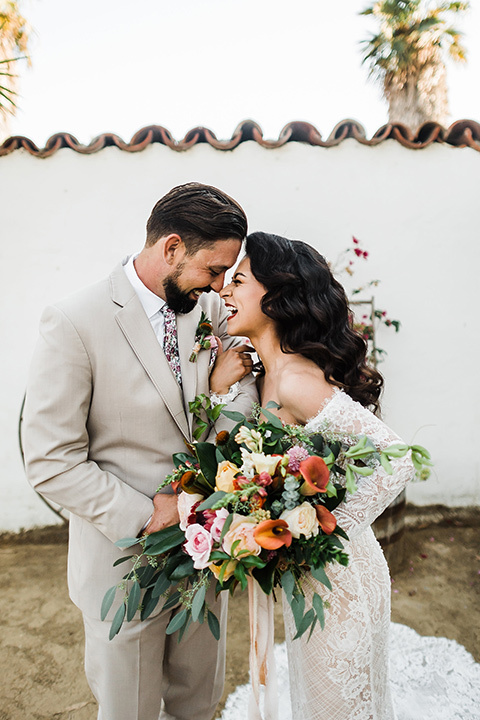 This wedding inspo has all the romantic Spanish feels with the warm tones of the design and the beautiful floral arrangements. 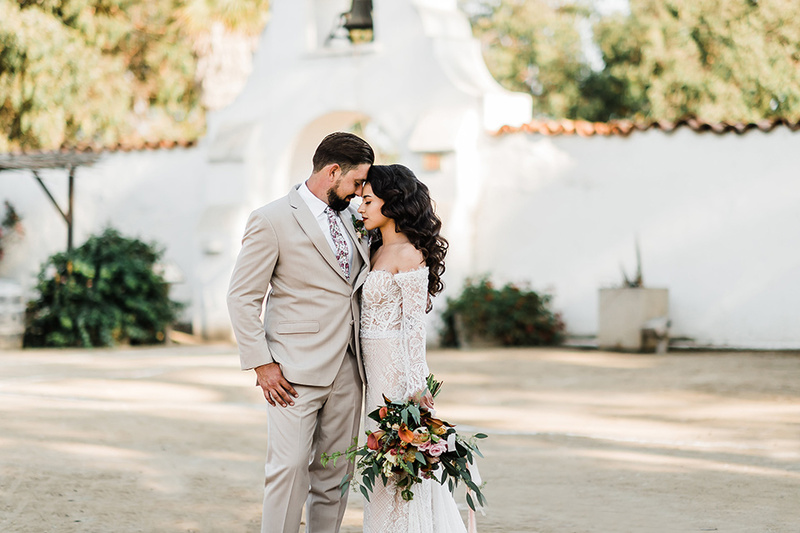 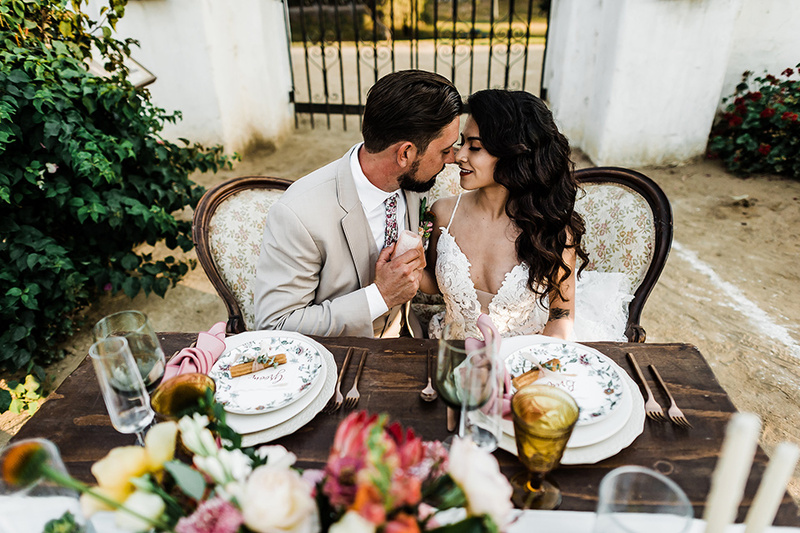 We're loving the neutral color palette for a summer or fall wedding set in a charming venue like the Olivas Adobe Historical Park. 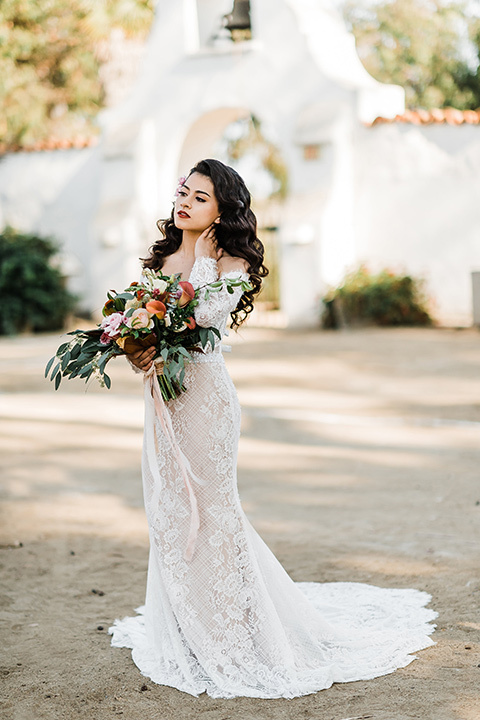 If you are considering a romantic wedding look, a lace bridal gown should be on the top of your list, nothing says romantic like lace, and this off the shoulder baby fits the bill perfectly. 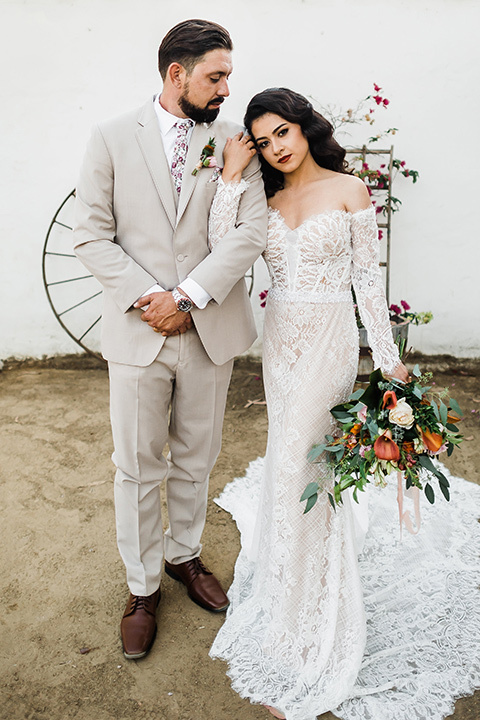 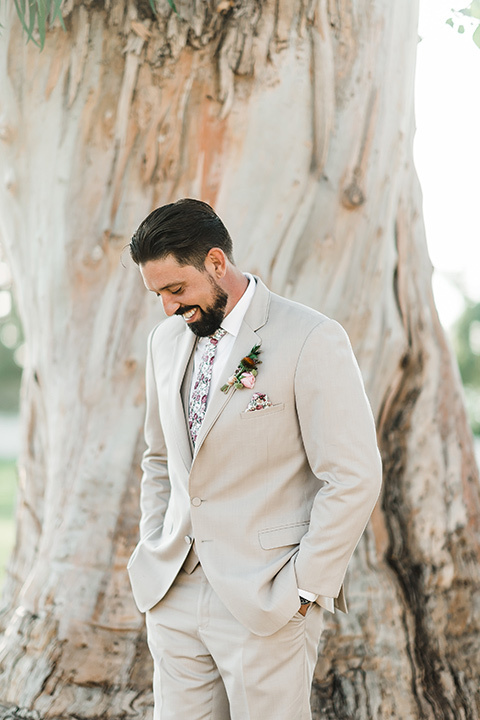 The ivory lace gown next to a tan suit and rose floral tie for the groom was a nice balance, neither the bride nor the groom outshining each other. 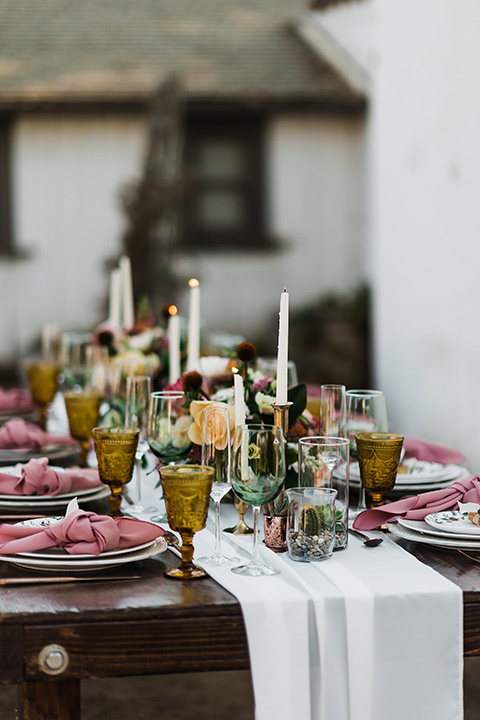 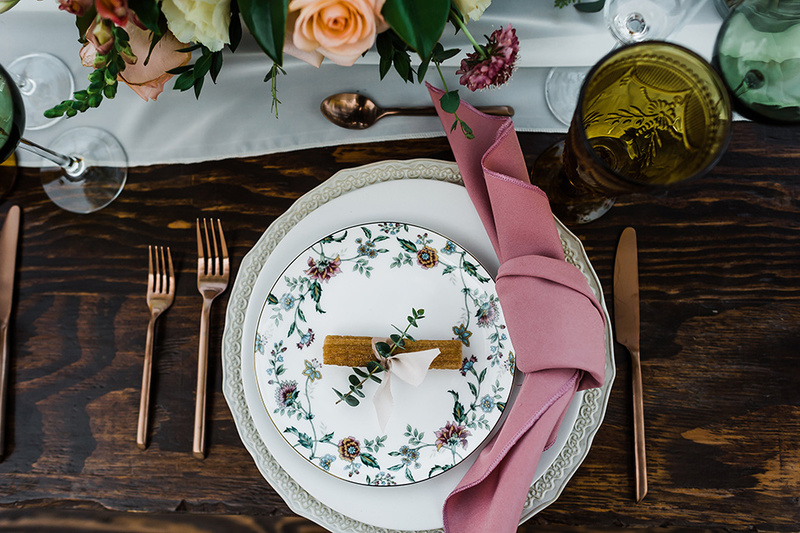 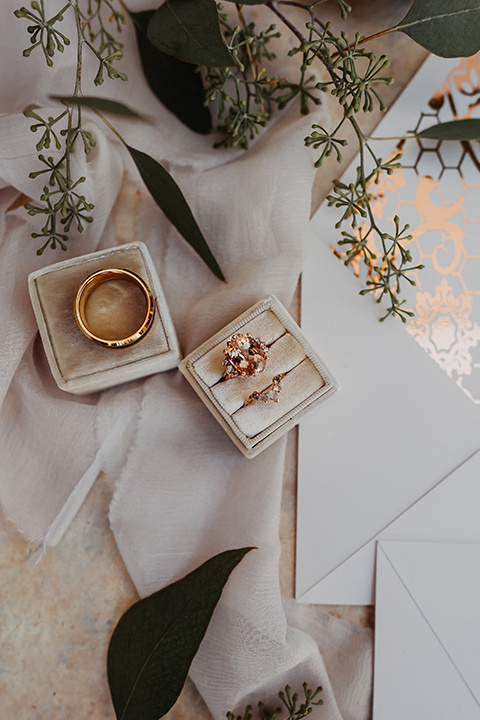 The decor from this wedding shoot layered off white linens, vintage furniture and gold place settings and looked sweet as a smaller setting but could be scaled for a large event. 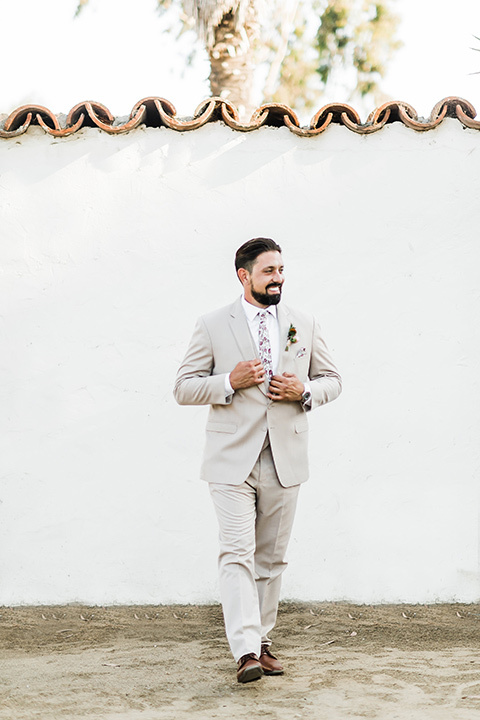 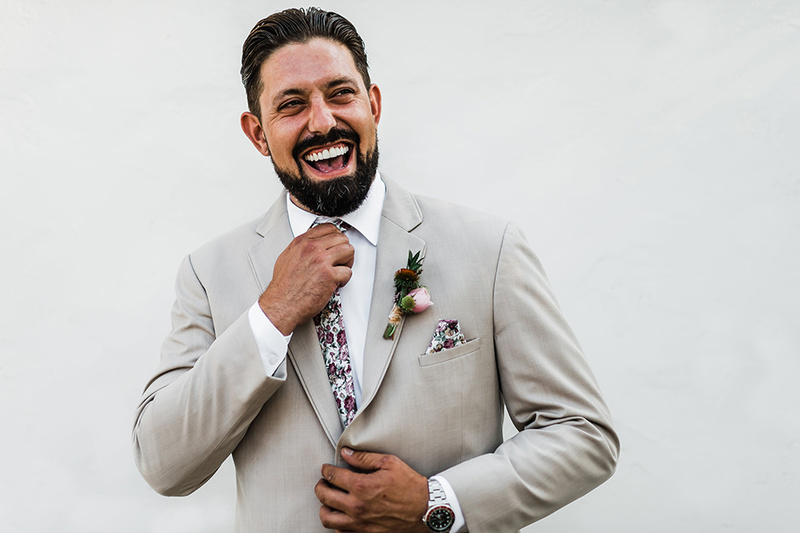 We loved designing the groom's look with a suit from our rental collection and a tie from our for purchase collection, let one of our stylists create a custom look for your wedding by bringing in your inspiration and pairing it up with our thousands of options!